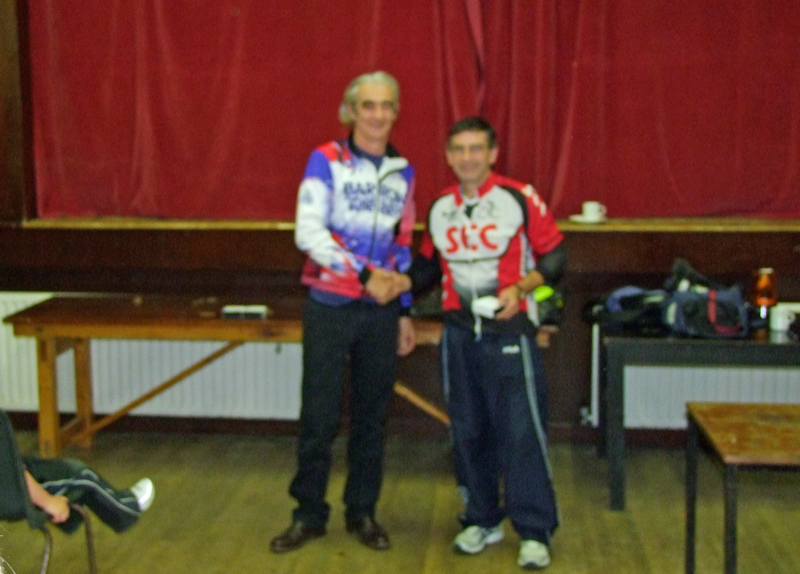 Paul Bolger 1st in Novice Co C’ships, Frank Dunne takes bronze in Senior race. 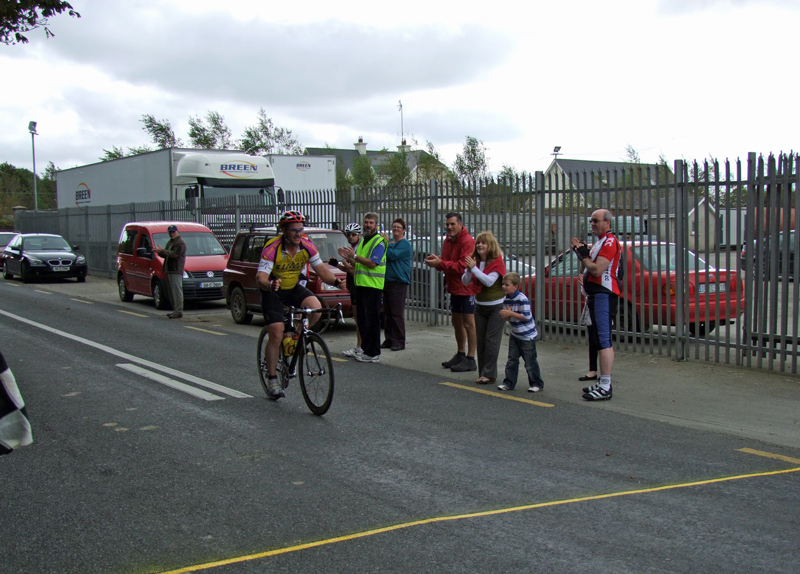 September 27, 2009 pwhitney Comments Off on Paul Bolger 1st in Novice Co C’ships, Frank Dunne takes bronze in Senior race. Congrats to Paul Bolger, David Dempsey and Willie Roche taking 1st, 2nd and third respectively in the Novice Co. Championships in Terrerath today. The bunch was still together at the end of the two laps with Paul showing the benefits of the novice league sprinting to a narrow victory over David and Willie. Well done to John Wickham and our sponsor John Nolan (Nolan Transport) who took part in their first open event, and to Terry Dempsey making a welcome return to competition. The Novice races are very popular and we hope to run some more events before the end of the season. 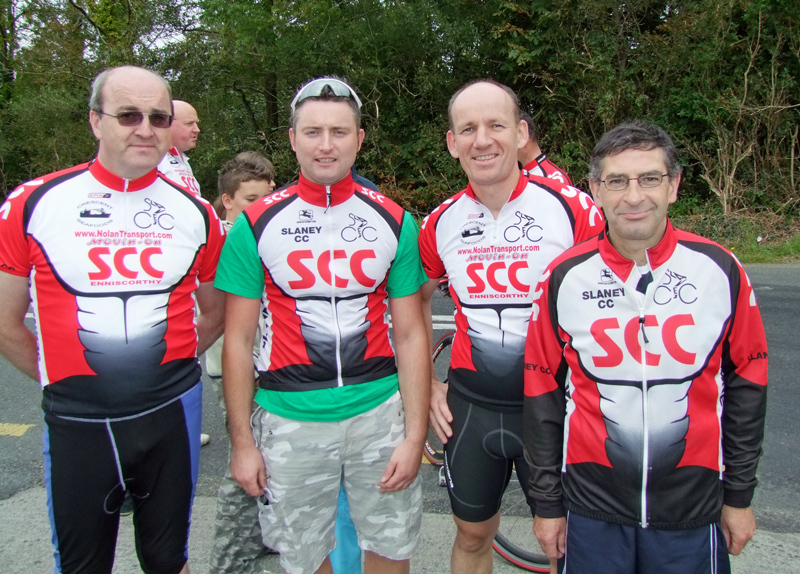 Frank Dunne won the bunch sprint to take the bronze medal in the Senior race held over 4 laps on a 21km circuit. Not bad for two weeks training Frank. 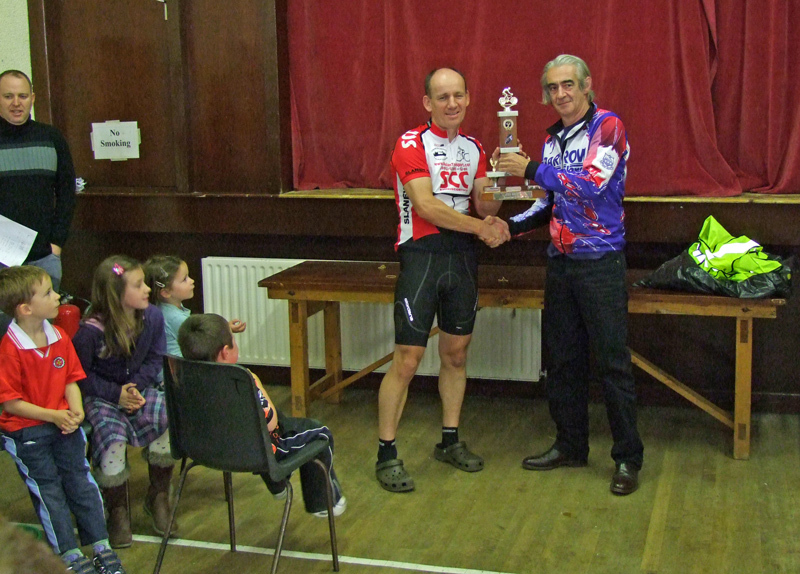 David Walsh, Wexford Wheelers, is the new Co. Champion and proved a worthy and popular winner. David, a quiet fella, has recently returned to racing after a lengthy lay off and powered his way to a solo victory having dropped his breakaway companion Simon Lambert. Martin Mizgaski, WW, finished just ahead of the chasing bunch taking silver. 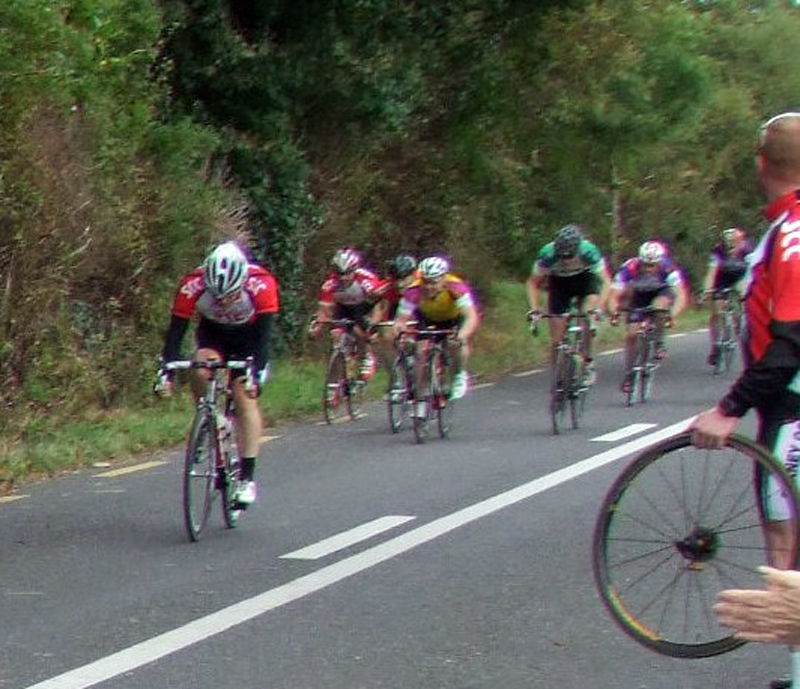 Martin had been in an earlier break with John Coughlan, Barrow Wheelers, but were reeled in on the second lap. Johnny Gordan, WW, is the Vets Co. Champion and Luke Maguire, WW, took the Junior Title. A successful day for the Wheelers. 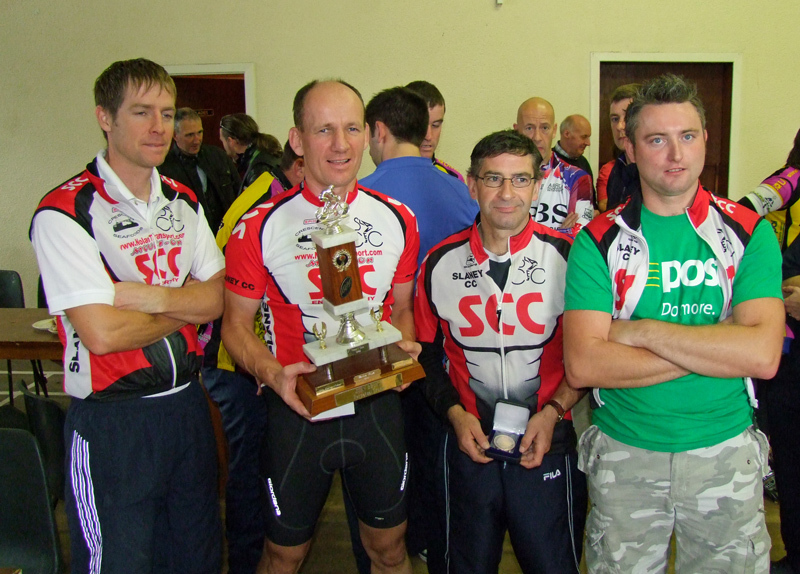 Hats off to Barrow Wheelers for a great days racing. 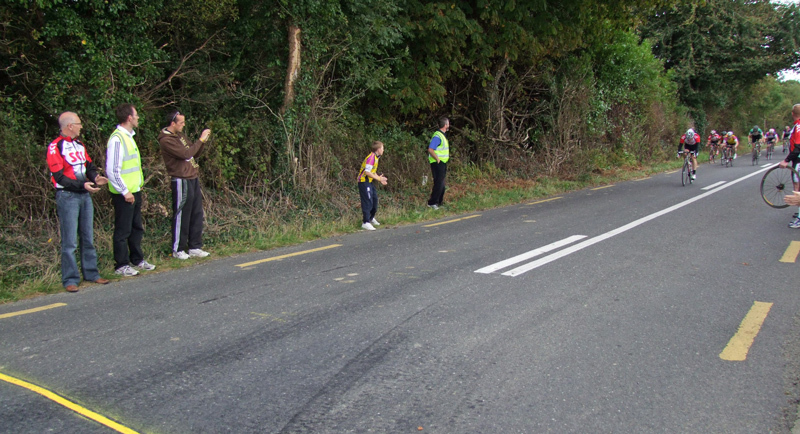 The excellent 21km course (not a pothole in sight) with its 4km drag proved both fast and demanding. 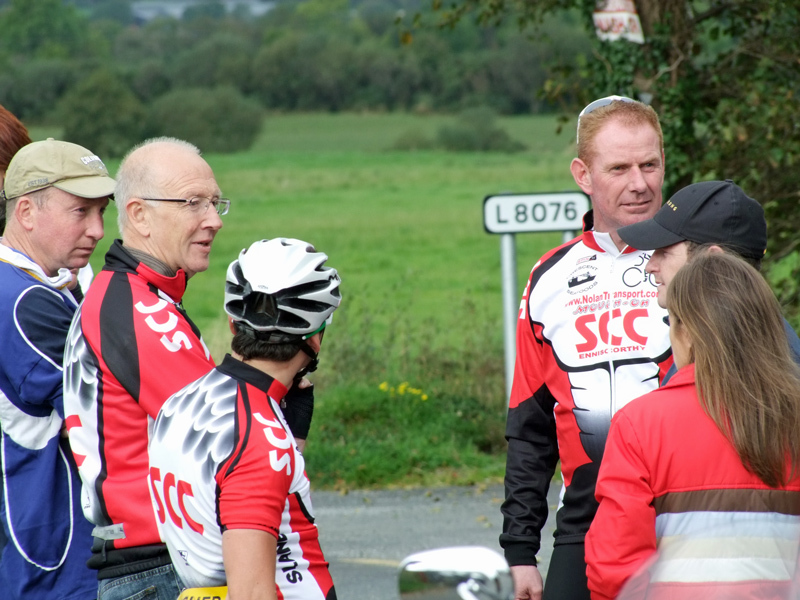 The race was well marshalled and the hospitality at the prize giving was much appreciated. The course would be ideal for an open event, hint, hint! 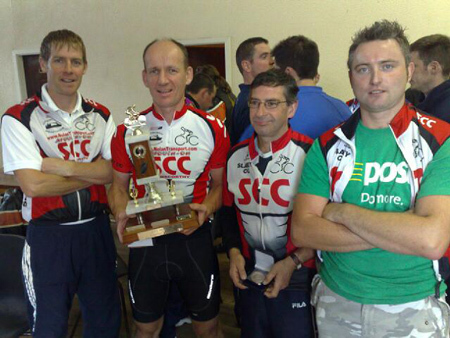 Well done Mick, Adrian and Tony and all at Barrow and also to the thirteen riders who represented Slaney CC. Touring: While all the racing action was taking place in New Ross the touring & ladies section left the Duffry Gate this morning and headed south thru Ballyhogue and Killurin to Ferrycarrig where they joined up with riders from the Carlow branch of the club, led by Ken Blanche, who had cycled down for the charity ride from Ferrycarrig to Tullow. 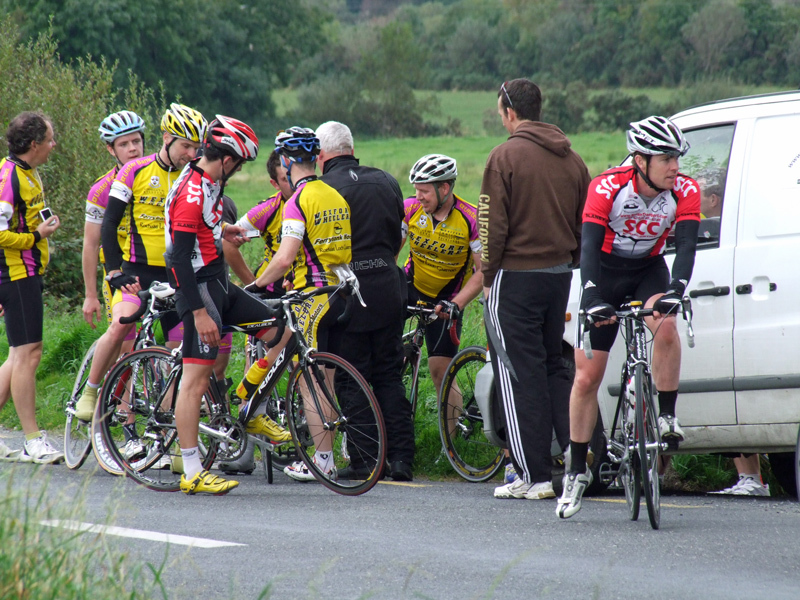 Between racing and touring we had 25+ riders out today.